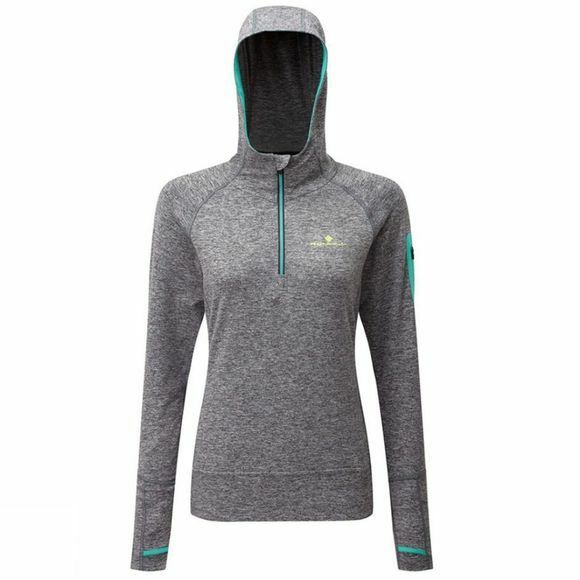 The Women's Momentum Victory Hoodie from Ron Hill is a highly versatile layer to add to your active wardrobe. It offers thermal layering before, during and/or after your favourite high octane activities to ensure you stay in tip-top comfort at all times. The flatlock construction at the seams reduces the chance of any chafing next to the skin while thumb loops offer a little warm protection for your hands.